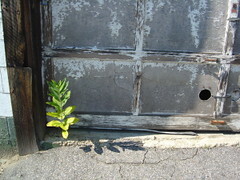 Like a weed sprouting through a pavement crack, we each bear the powerful seeds of creativity. The Universe is a creative place, and we are born to be creative creatures. Whether we exercise our creativity through writing, music, the arts, or a vibrant and alive life, creativity is the lifeblood of our existence. Mindfulness is the art of paying loving attention to the details of the present moment. Being fully alive to our mundane life is how we nourish the seeds of creativity. If you’re interested in living a vibrant and enriched life filled with creativity and zest, I want to help you along that path. Creativity is your human birthright…and with a coach to lend support, I believe you can achieve the life of your dreams.